Kuala Lumpur Sentral is an exclusive urban centre built around Malaysia’s largest transit hub, offering global connectivity, excellent investment opportunities, business convenience and an international lifestyle. 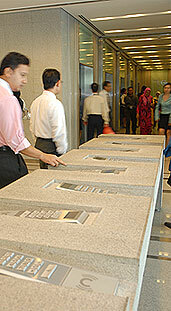 At the nucleus of Kuala Lumpur Sentral is the RM1.1 billion world-class transit hub, Stesen Sentral. Its infrastructure supports six rail networks, namely the KLIA Express Rail Link, KLIA Transit, RAPID KL (Putra), KTM Komuter, KTM Intercity and KL Monorail Services. Kuala Lumpur Sentral is spread over 72 acres of land bordered by Jalan Travers, Jalan Damansara and Jalan Tun Sambanthan, situated in the southwest of Kuala Lumpur City and just 1.5km from the central business district. 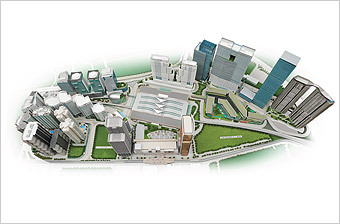 After successful completion of Stesen Sentral, development of other components surrounding the station was initiated through a Master Plan inspired by a ‘City-within-a-City’ concept. Designed by a renowned architect Dr. Kisho Kurokawa & Associates, who is also the designer of Kuala Lumpur International Airport (KLIA), the Master Plan has come to life with many completed as well as ongoing developments comprising prestigious residential and commercial properties. Each building at Kuala Lumpur Sentral is specifically designed to complement one another, co-existing in harmony, which has been the fundamental philosophy of master architect Kurokawa. Phased until 2015, Kuala Lumpur Sentral is envisioned to be a world-class city; valued at a massive RM11.76 billion upon completion. Both local and international communities have responded enthusiastically to the investment opportunities in Kuala Lumpur Sentral; also evident from its track-record of sales and high take-up rates at its residential and commercial properties. The transformation of Kuala Lumpur Sentral demonstrates an admirable track record in its emergence as an exclusive urban centre built around Malaysia’s largest transit hub, offering global connectivity, excellent investment opportunities, business convenience and an international lifestyle.